The advantage of the scope is its telescope system — ratio of magnification can be changed according to the distance of the object. 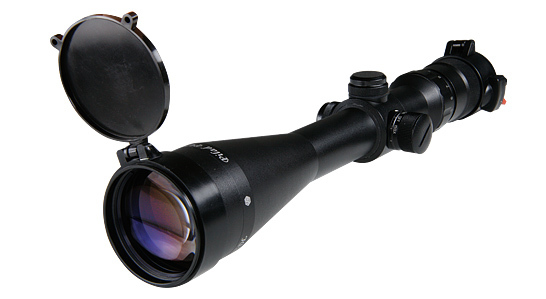 The adjustment of magnification ratio from 2 to 10 allows to stop on any intermediate value. The large lens diameter forms a wide-angle field of view. The multilayer enlightening covering of optics allows to use the scope in poor light conditions.